I don’t draw. Well, I do, but no one wants to be subjected to the three things I can scribble—a dragonfly, a frog, and an army of stickmen. I’m very happy to leave the artistic end of things up to others, and absolutely LOVE the art Alan Clark did for White Picket Prisons. 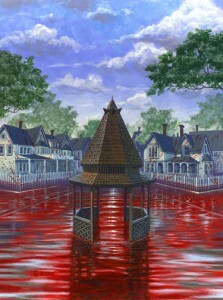 That said, FYI: the original artwork for my latest novel White Picket Prisons is up for sale. “Chopping Block” spine art used on the Black Voltage edition of WPP. Medium: Acrylic on board. Size: 2″x12″. copyright © 2012 Alan M. Clark. 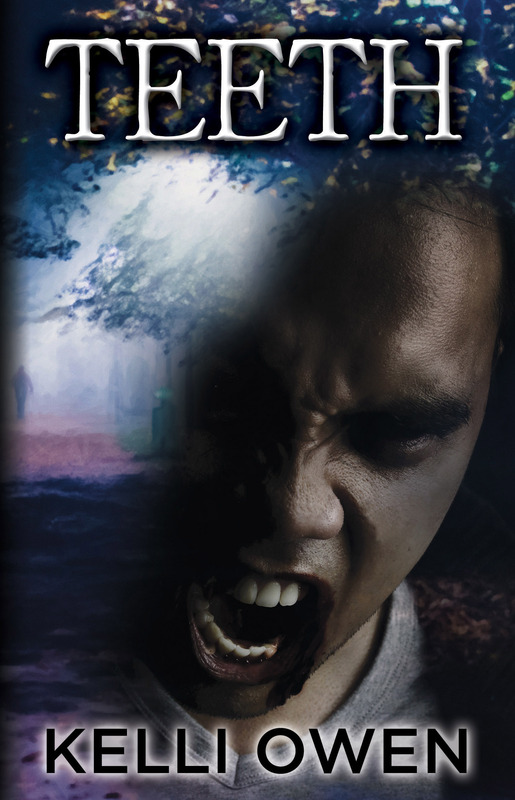 “Pickets and Blood” cover art used on Black Voltage, Hard Rain and eBook editions of WPP. Medium: Acrylic on board. Size: 12″x16″. copyright © 2012 Alan M. Clark. If you purchase either of these pieces, please let me know—I’d love to know which collector ends up with them. And thank you again to Alan Clark for creating the perfect visual for my words. Damn…wish I was still working. I’m sure they will find a suitable home.